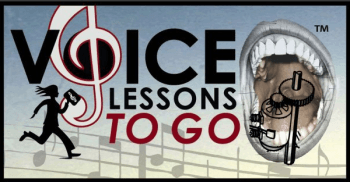 The inside scoop on how the movie FROZEN inspired me to come up with my new CD- Voice Lessons To Go-Vocal Repair. I was sitting at the piano with my 2-year-old daughter a few months ago, and she was asking, (more like demanding), that I sing Let it Go from Frozen over and over and over. Now, Let it Go, sung by the incredible Idina Menzel is a fantastic song and a belting showcase. It takes a lot of power, and honestly very few people can sing it well and correct. (Being that I am a trained opera singer, my belt voice which is quite naturally strong, is not the voice that I tend to concentrate on and develop). Skip to that evening, my voice did NOT feel good. I felt like I had been screaming at a football game. The next morning, I sat at the piano to get my voice back on track. I knew it would take a few days of proper vocal exercises, vocal rest and monitoring. I didn’t have any performances coming up, so I would be ok. There are probably many singers who have felt vocal strain in their voices at some point who could benefit from a group of vocalises that could be specific to healing their tired overused voice and setting their singing back onto a healthy track. 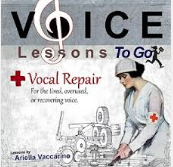 Vocal Repair is a fantastic tool for a gentle vocal recovery. 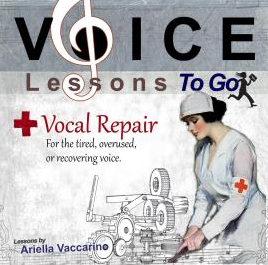 My new CD Vocal Repair is now available for purchase and will ship at the end of next week. 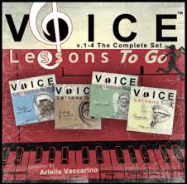 Click here to purchase Voice Lessons To Go- Vocal Repair -delivered world-wide. 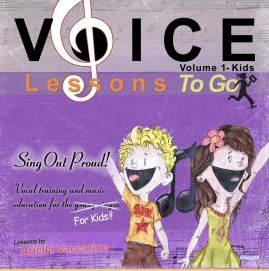 Click here to purchase the download of Voice Lessons To Go- Vocal Repair for $9.99. I’m excited for your feedback on it.